What They Say.....Kate loves Alf. And Alf loves Kate… Doesn’t he? What I Say.....I can't even imagine the pride you have in a publishing a book. I want to love all books and recommend every book I read. But you just can't, if you want to give honest reviews. 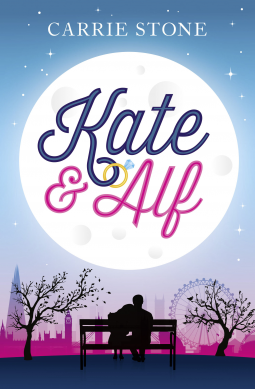 Unfortunately, Kate & Alf was not a book that I would recommend. Normally, if a book doesn't thrill me, I can put my finger on what I didn't like right away. But in this case, there wasn't one thing. I just couldn't get into the story. I was bored. It had all the things I normally love. English chick lit, boring boyfriend, new romantic interest introduced and a best friend with a heart of gold. But the boring boyfriend was truly dull as dishwater, the new romantic interest felt forced, I never understood what supposedly made Kate and Marcus interested in each other (and they didn't stay interested for long). And the best friend, Megan, had a side story that was actually too big for the book. It did have some sunny spots, some of the nursing home characters were fun, Kate was a sympathetic character, and the little twist of a second Alf at the end was fun. But in the end, reading this felt like a chore, instead of a pleasure. Cute cover, though.